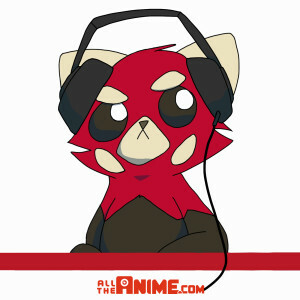 Team Anime Limited is back with another Podcast [recorded on 2nd February 2016] as Jeremy, Kat, Andrew, Keith and Kerry take gather in the office studio to discuss recent news including the fact we’ll be releasing Psycho-Pass 2, Free -Eternal Summer- and Rage of Bahamut: Genesis in the UK, a packed Q2 release schedule following some release date changes, talk on our upcoming Durarara!! x2 The First Arc: Shou release and more. Then we bring you a new regular segment to the podcast, The AL Club. The idea of this is simple: we love anime and love talking about it in detail, so that’s exactly what we do in the AL Club. We will pick a specific anime, be a title of ours or (as will most likely happen in the near future) we will pick titles that aren’t ours (Anime Limited) or perhaps a title that’s out-of-print, and we simply talk about it. It’s a chance for us unwind and have a good time talking about a particular series. For this first edition of the AL Club we’re focusing on one our titles, Space Dandy. But it’s not just us talking about the series in general, we also delve into behind-the-scenes tidbits relating to the series. However it’s not all about us talking about a particular anime in the AL Club, we also want your thoughts on Space Dandy as well. Tweet us your thoughts on it using the hashtag #TheALClub on twitter, post your comments on our Facebook page or send your thoughts by email to Jeremy@AllTheAnime.com with the subject “Podcast – AL Club” with your thoughts, and we’ll be reading out thoughts we receive on our next Podcast. Also if you have any suggestions for anime you’d like to discuss in future episodes, feel free to throw your suggestions our way. Oh, and a random note. Towards the end of this inaugural AL Club, Kat got called out to a meeting so she wasn’t able to give her thoughts on a favourite episode. So she will be revealing her favourite episode on the next podcast we record. A fun show as always and we hope you enjoy it. We’re going to aim to a record another podcast later this month, so be on the lookout for that.